Finding Your Ideal Career: Where Do I Start? What is my ideal career? Finding your ideal career is not easy, but the fact that you’re reading this article means that you’re a driven, motivated individual that’s willing to work hard for it. Good job! You’ve already gotten the first step down: To find the motivation. So what’s next? 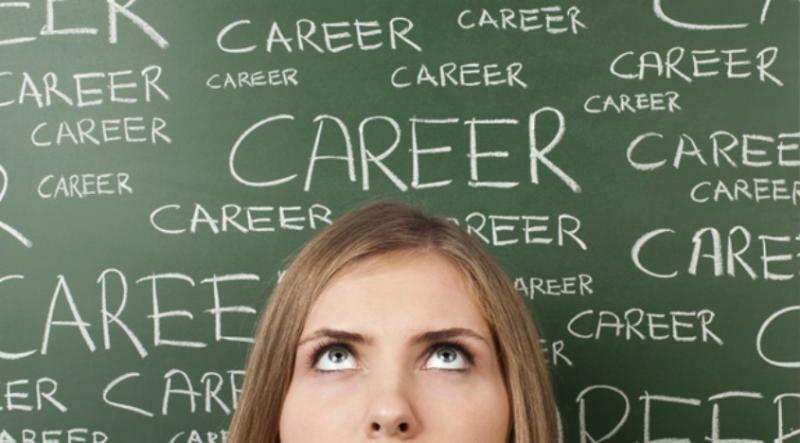 Well, here are some essential steps to start finding your ideal career. It is recommended that you write your ideas down as you go to make it more concrete and easier to work with. First, you need to do some self-assessment. What are some things that you like? What is it that drives you? It doesn’t have to be career- or industry-specific. Your motivation can be your simplest desires like “I like helping others” or “I like it when the numbers come together.” Landing a job that aligns with your passion will definitely boost your performance and leaves you feeling satisfied. Asking yourself these types of questions will help you determine what your ideal career is. Make a list of things that you’re good at and what you need to work on. You’ll more likely enjoy and succeed in a career that allows you to make use of your strengths. If you’re concerned that your ideal career path might not suit you because of your weakness, don’t be discouraged! In fact, good for you! Now you know what you need to work on and you’re one step closer to being in your ideal career. “What are your weaknesses?” Everyone’s favorite interview question to answer! Honesty truly is the best policy here, so don’t try to be over strategic. Your weaknesses are an important part of the interview process on both sides. You may have found it difficult to list your passion, strengths, and weaknesses. That’s ok! You’re not alone. You’ll need to give yourself some time to identify both your natural and learned skills. Take the time to understand your own potential. After gaining some experience, you’ll be better able to assess yourself and find a skill (or a combination of it) that you can capitalize on. Everyone has slightly different goals in life. Some will want to focus on their career growth, while others want to focus on learning new skills. If you’re focusing on your career growth, avoid the common mistake of prioritizing short-term improvements. What you want now may not be aligned with what you want five or ten years down the road. For example, don’t be swayed by a job promotion if it means that you’ll be stuck in a career path that you don’t want to be in. If you are in a job you don’t like – LEAVE! Nothing is worth your unhappiness. In fact, if you don’t LOVE it, I say leave. Value yourself enough to have your job/career be a reflection of what matters to you. Be enriched, be alive, make a contribution. Work culture may seem insignificant, but it actually matters more than some would think. Consider the work environment that would suit you best. What will your relationship with your coworkers look like? What style of company leadership do you look for? These things can contribute to whether you will enjoy a job or not. For example, some would enjoy working in a big corporate company while others thrive in smaller companies. Do your research. Find out if the work culture of the jobs in your career path would allow you to perform at your maximum potential. Yes, we all have to pay our bills. However, money shouldn’t be your primary goal. You’ll always want “a bit more.” You’ll never be content if your goal purely about gaining more money. Instead, think about what matters to you most. Do you want flexible work hours? What kind of lifestyle do you want to live? Revisit your values, life priorities, and career goals. It’s always nice to be in your ideal career. But like everything nice, it will take time and effort. So put in those hours and don’t hold back on those sweat and tears! You might only land a decent job in the beginning, but rest assured, your efforts will pay off sooner or later. Best of luck! Trust your recruiter about the best salary to represent you at. Trust me, we have your best interest in mind to negotiate you the best possible salary! We see WAY too many candidates ask for too much salary up front and price themselves out compared to similar candidates. There is a difference between your worth and your MARKET worth. You need to set ego aside and play the market right. If there are candidates with several more years experience than you, and asking for the same, or even sometimes less, money, you will have priced yourself out even before even getting in the game. Recruiters are able to give valuable insight into your competition. Use us wisely. Side note, don’t make a career move if money is your only motivation. This will make falling into this trap even more likely. You shouldn’t expect to simply fall into your ideal career. Be proactive and do your due diligence. Everyone should be in a career they love with a company they are passionate about. No one should settle ever! In the US alone there are amazing companies and amazing jobs out there. Complacency will be your number one enemy with fear as a close second. If you ever feel stuck or alone or overwhelmed as you go through this process, always remember you are not alone. Use your friends and family as a sounding board. Reach out to co-workers, coaches, consultants. There are a million resources at your fingertips, you simply need to take the action and get out there. Action is the only thing that will ever produce a result. Start small if you have to, but one way or another, get in action. The more action you take, the more results you will start to see. We wish all of you the best in your career searches. Believe in yourself and your skills, and most importantly, never give up! If you already know what your ideal career is, consider looking for a new job on our job boards. If you don’t, good lucking finding your ideal career!